The 14mm DVD case is where our optical disc media packaging originated. Scanavo’s singles disc DVD case was one of the first DVD cases to be presented to the studios and replication industries. The 14mm single and double case has been creatively used with Movies, Music and Gaming industries. 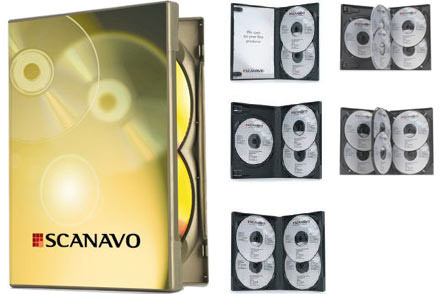 The overwhelming demand of the Retailers and Studios to maximize shelf utilization in Retail stores, pushed Scanavo to create the Overlap™ case design that today allows for 2, 3, 4 discs to be housed in a 14mm DVD case.